Texas Tech sucked the life out of Michigan in the most brutal of ways on Thursday night, riding adequate offense and criminally exasperating defense to a 63-44 win and a trip to the Elite Eight. For all 40 minutes, the two-seeded Wolverines didn’t look like they even belonged on the same court as the Red Raiders, making mistake after mistake as they fell further and further behind. This has been Tech’s M.O. all season, but the way they completely disabled Michigan’s offense was still a bit shocking in its flawlessness. For the first 10 or so minutes, the game was the equal defensive battle everyone expected, with both teams scoring just six points each. But as Tech found a bit of a groove through Davide Moretti’s long-range shooting and Jarrett Culver’s do-it-all scoring, Michigan was left bloodied in the dirt. The Wolverines went 1-of-19 from three, gave up 14 turnovers, and didn’t even get up beyond 30 points until there were 8-and-a-half minutes to play. An aggressive, smothering, unmerciful Texas Tech defense just blew up their hopes and dreams for the rest of the season. 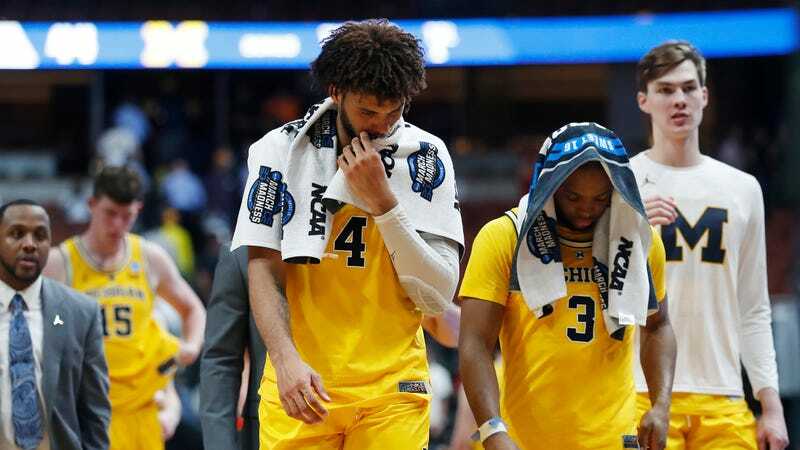 “There were a lot of things we worked on in two days of practice, but we couldn’t get far enough to make a difference, because that team practiced that defense for six months,” head coach John Beilein said. “That was the best defense I’ve seen my whole career at Michigan,” said Wolverine sophomore Isaiah Livers. Michigan’s performance against Texas Tech was just as ugly, if not even worse, as the sputtering, lifeless Buffalo Bulls in the second round on Sunday, who only scored 33 in the game’s first 30 minutes, and also coughed up 16 turnovers to the Red Raiders. It’s tough to do justice to exactly how depressing it gets for Tech’s opposition when they’re just coming up empty time after time—when the mistakes just keep piling up so high even a smallish deficit looks impossible to overcome. 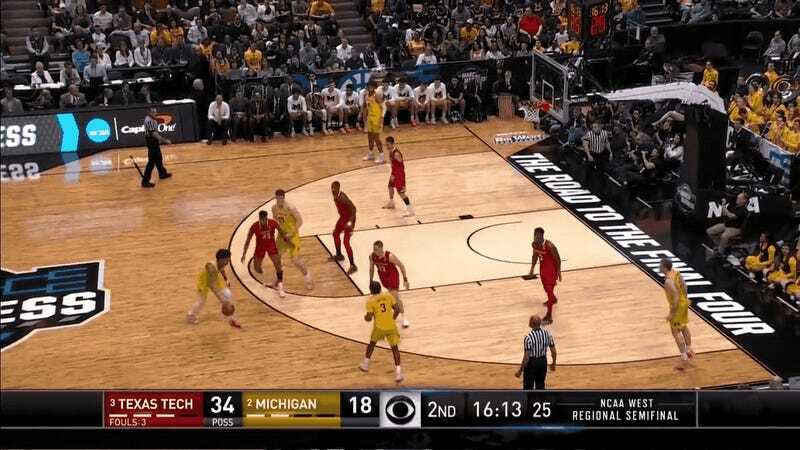 In one especially representative play, Michigan got a man advantage after Matt Mooney tried too hard for a steal, and still, Texas Tech had all their spots covered. Iggy Brazdeikis went up for what should have been an easy two, and he got denied right at the rim by Tariq Owens. Tech will just flat-out refuse to give up any easy baskets. It’s one thing to lose in a barnburner where both you and your opponent are making plays, but Texas Tech gets in your head and makes you shoot yourself in the foot over and over again, which has to be the worst way to get knocked out of a tournament. The Red Raiders will face their toughest challenge yet in Gonzaga’s offense on Saturday, but even if they shut down the Zags only half as often as they did the Wolverines, they’ll still be in good shape.